We routinely get calls from clients who do not speak English who have been involved in car crashes. We know that it can be confusing to try and pursue legal action without ample communication between the parties, and our car accident attorneys in Houston who speak Spanish can help. Kenmore Law Group can provide you with a personal injury lawyer in Houston, TX, who will take care of all your lawsuit needs. If you wish to speak with a lawyer in Houston who speaks Spanish, call our firm today. Car accidents happen most often because drivers are negligent. They may hit you from behind while you are stopped at a red light or a stop sign or they may sideswipe you when they change lanes. They may not check their blind spots and they may not use turn signals when switching lanes. It can be hard to avoid some accidents, especially if your car is stationary and the other driver is traveling at a high rate of speed. Other reasons include drunken driving, fatigued driving, vehicle defects, road hazards, inclement weather, and more. The presence of physical injuries is the most important aspect of these four points, as it will determine whether or not you can actually take action in the form of a personal injury claim. If you do not speak English, you may find it very difficult to prove these four points. A Spanish speaking auto accident lawyer in Houston, Texas, can help you. Often, people will free up after a car crash and not know what to do. They may forget simple tasks and be in a state of shock. This can be worsened if you do not speak English and cannot get the necessary information you require. It is in your best interests to follow these steps to get a head start on your claim. If you have questions, you can call an auto accident attorney in Houston who speaks Spanish. Seek medical attention from the paramedics or go to the hospital to get treated. At the very least, even if you were not seriously hurt, you should get evaluated by someone. It will make it much easier to pursue damages for medical expenses if you actually suffered physical harm. If you do not how to proceed, a car accident attorney in Houston who speaks Spanish can be on the phone with you within minutes and walk you through the entire process. We will help you collect all the necessary evidence and will act on your behalf when it comes to negotiating a deal with the insurance company. Don’t go at the case alone – let an auto accident lawyer who can speak Spanish in Houston, TX, handle your claim for you. Victims of car accidents must take legal action within 2 years of the date of the injury. The injury could have appeared days after the accident, and you may or may not have been warned of it by the paramedics or doctor. You should be aware that if you do not pursue a claim within the 2-year window, you won’t be able to secure any compensation for your damages. You will be left with no route to take to pay for anything. Thus, it is important that you pay careful attention to important dates after your accident. If you do not speak English, a Houston car accident lawyer for Spanish speaking clients can help you. We are willing to translate all relevant documents and will see to it that your claim is filed on time. We’ll also strive to elongate the deadline as much as possible if the circumstances allow it. You may have been unable to file a claim because of your health or age, or the responsible driver may have fled the state in an attempt to not pay any damages. One of our Spanish speaking attorneys that can handle car accident claims will be able to file your claim on time and ensure that nothing is late. Clients often call us wondering how much their car accident lawsuits are worth. Some claims may be worth upwards of $1,000,000, especially if the injuries are particularly severe. However, others may offer five figures or less. Each case’s value is determined by the insurance agent assigned to it, and he will weigh different factors to come up with a sum. There is no calculator that he uses to measure each factor’s relative importance. Instead, the insurance agent will see if your injuries were particularly severe, impactful, had an effect on your career, and more. He will also consider how much of the accident could be attributed to your own negligence. If you were completely innocent and were devastatingly harmed, your case value will likely be worth a sizeable amount. However, many insurance agents will not make these offers at first. They will wait a long time to make you an offer in the hope that you’ll accept the first one you see because you’ll be desperate for compensation. They may even claim that your injuries were not severe or that you were actually wholly responsible for the crash. To avoid dealing with these troubles, you should contact a lawyer in Houston who speaks Spanish. The insurance agent may try to prey on the fact that you do not speak English too well and will try to force you to agree to a lesser settlement. Our Spanish speaking car accident lawyers in Houston, TX, will ensure that that does not happen. We will tell you what we believe your case is worth and we will fight to bring you your fair restitution – not a penny less. You may find yourself overwhelmed by the possibilities of what you can earn and you might not be able to negotiate a worthwhile deal if you are limited with your English. An injury lawyer in Houston who speaks Spanish can take up your case for you and work around the clock to secure you what you deserve. Our team of Spanish speaking injury lawyers in Houston, Texas, at Kenmore Law Group has decades of collective experience with car accident lawsuits. We know the ins and outs o the system and will not stop until we secure you the settlement you deserve. We are aggressive and will constantly work to keep your claim at the top of the pile and front of the line, and we will negotiate a fair deal from the insurance agent until he gives in. If you have questions, you can call a Spanish speaking injury attorney in Houston, TX, to receive a free legal consultation. 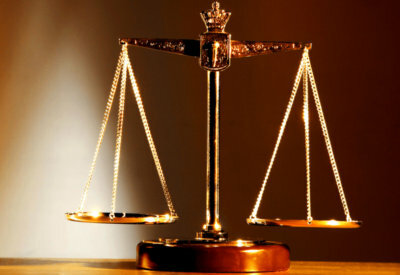 Our lawyers are available 24 hours a day, 7 days a week, and we will gladly discuss your case and its worth with you. We will also tell you more about our zero fee guarantee, a promise that you won’t touch any of your savings to pay for our services. We will take a portion of the settlement we win for you if we are successful, but if we are not, we eat the losses ourselves. A Spanish speaking car accident lawyer in Houston with experience in car accident cases can be reached by contacting Kenmore Law Group today.